We initiated an innovative policy to expand employment in Arab society via proactive changes in government acquisition procedures, to raise the demand for Arab workers in the private sector job market. As of 2017, the employment rate in Arab society in Israel is only 42.5%, about 20% lower than the overall national average (61%). This is damaging both to the welfare of Arab citizens and to the resilience of the Israeli economy. Broader integration of Arabs into the private-sector workforce is impeded by many powerful and diverse barriers that function to reduce the supply of Arab employees as well as reducing their access to the labor market. Some of these barriers are being partially addressed through government investment in higher education, infrastructure, public transportation, construction of day care facilities, and so on. These efforts, however, although crucial, have no impact on the low demand for Arab employees in the private sector, which is mainly driven by ethno-national discrimination. Discrimination of that nature is exacerbated by the ongoing Israeli-Palestinian conflict and by the universal preference of employers everywhere to hire “their own,” i.e., people like them. Without efforts to remove this powerful impediment, the Israeli economy will increasingly find itself with a growing supply of employable Arabs who are well prepared and eager to enter a labor market that is unwilling to absorb them. This very serious problem has a solution that has already been tried, with great success, in other countries, namely, leveraging government purchasing, and the tens of billions of shekels that are distributed annually in the state budget to companies in the private sector via government tenders – to encourage private sector demand for workers from otherwise less favored groups. A reporting form: Companies bidding on government purchasing tenders will be required to complete a reporting form detailing the number of Arabs already employed by the company at each professional level, along with the steps their company is taking to promote the hiring of Arab workers. Preferential status for companies employing Arab workers: In the government’s evaluation process for bids on government tenders, companies that employ a fair proportion of Arab workers will earn extra merit points. These bidders will thus have a relative advantage over companies that do not meet the same objective, while companies that don’t yet meet the goal will have an incentive to increase the number of Arabs they employ. Sikkuy has published two reports, one a policy paper and the other an economic study, on the feasibility of the proposed policy changes. The reports were publicly introduced at the Economic Conference of Arab Society held in November 2016 in Nazareth. We then launched an ongoing advocacy process aimed at government ministries to continue to advance this issue. Waseem joined Sikkuy in August, 2017 as the Knesset Coordinator for the Equality Policy Department. 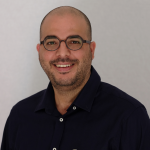 With a law degree and a member of the Israeli Law Society since 2007, Hosary is a social and political activist with a diverse professional background including serving as political and parliamentary adviser to several Knesset members. With his own law practice, Hosary has provided legal advice to several civil society organizations and has managed a number of social and community projects. Hosary lives with his wife and daughter in Um el Fahm.